Adam Tarr has been a real estate agent since 1996. Add to that more than 20 years of entrepreneurial experience in the retail and service fields. Adam's background is strong in customer service, which is extremely important in such a personal business as real estate. 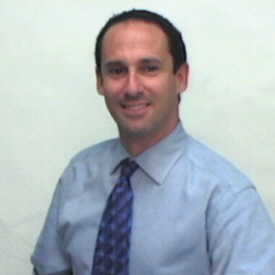 Adam, as an associate broker, brings additional education and know-how to assist the most detailed buyers and sellers. His initial focus was in the new home industry working for both small local, and large national builders. He has won numerous awards including Team Player of the Year, and has been nominated for Salesperson of the Year for the Phoenix Market. After 8 years, Adam transitioned to the resale market in order to have more quality family time. Adam has earned multiple designations including, GRI (Graduate Realtor Institute), ABR (Accredited Buyer's Representative) CDPE (Certified Distressed Property Expert), RSPS (Resort and Second-home Property Specialist), e-PRO (Internet Real estate specialist) and CNE (Certified Negotiation Expert), signifying his committment to providing the best service including buyer representation and internet real estate services. Adam is originally from Philadelphia, PA, and has called the Valley of the Sun home since 1994. He most enjoys time with famly and golf. With great experience in Scottsdale, Phoenix, East Valley and West Valley real estate - as well as intimate local area knowledge - we work extensively to help buyers and sellers meet their real estate goals. If you are looking to buy or sell a home or would just like to know some more information, feel free to call or E-mail us: info@weareazrealestate.com. As listing agents, our extensive marketing plan gives each homeowner the opportunity to get the maximum value for his/her property. For buyers, we help negotiate the best possible deal and search until we find the perfect property. Nothing satisfies us more than seeing the smiles that come with a successful sale, or the purchase of a lifetime. Thanks again for choosing Adam Tarr as your on-line Valley of the Sun real estate source.